As the 2017 November constitutional election nears, the Hidalgo County Elections Department has switched into full gear arranging, training, preparing and working on the projects that will be executed during this upcoming election cycle. This election will experience several firsts as it will be the first time Hidalgo County voters will cast their ballots on the new Hart InterCivic Verity Touch voting machines. Also, the Countywide Polling Place Program, which allows voters to cast their ballot at any polling location on Election Day, will be implemented, and although historically and throughout the state the hours for the constitutional election are usually shortened, this year the early voting period will be extended from 7 a.m. to 7 p.m. This extended period will give voters an additional three hours to cast their ballot. 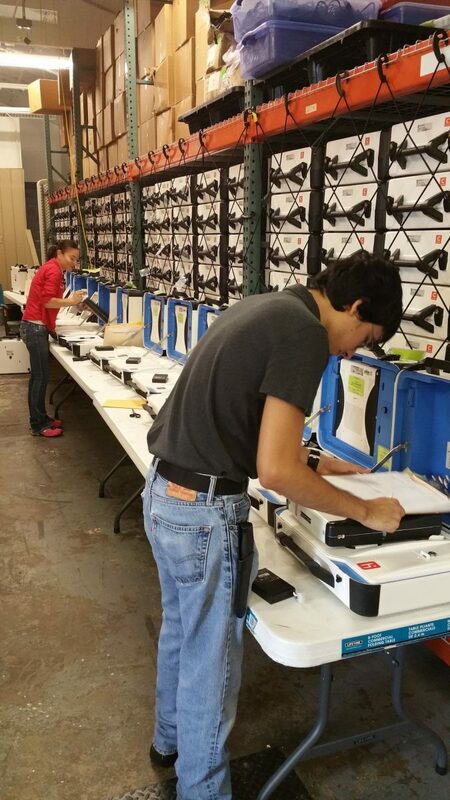 On Feb.7, 2017, Hidalgo County Commissioners finalized the approval to purchase 854 Verity Touch voting machines and 220 Verity Touch with Access machines. One week later, equipment began to arrive, and the elections department began to receive, unpack, build and test the new equipment. During this process, an outreach program to promote, educate and transition the public to the new voting machines was initiated. The voting machines were showcased at various outreach events where elections staff demonstrated the new voting equipment and explained the new processes. Voters were able to run through a mock election while learning how to cast a ballot. Along with voting on new machines, Hidalgo County voters will be able to cast their ballot at any county polling location on Election Day, which is Nov. 7. Arturo Garcia, Hidalgo County senior field service specialist, tests new voting machines at Elections annex on Oct. 2. On Aug. 9, the Secretary of State’s Office approved the Hidalgo County Elections Department’s application to participate in the Countywide Polling Place Precinct Pilot Program. The program is to be implemented during the November constitutional election and offers the convenience of having everyone’s ballot at every polling location on Election Day. Voters will no longer have to drive to their precinct polling location to vote and will now have the opportunity to vote at their nearest and most convenient polling location. The elections department continues to move forward by implementing the newest advances in election voting processes and always looks to implement programs that will benefit voters. During this upcoming constitutional election, voters will have an additional three hours during the early voting period to get to the polls and vote. 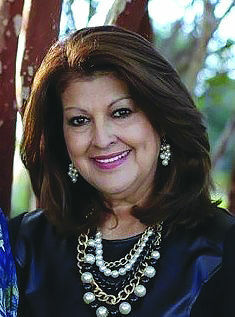 Hidalgo County Commissioners saw the need to extend the hours and implement uniformity with the federal elections. Early voting will be open from 7 a.m. to 7 p.m. every day, except on Sunday, Oct. 29, when polls will be open from 10 a.m. to 3 p.m. This will allow significantly more time for voters to cast their ballots. Through the support and direction of the Hidalgo County Commissioners, the elections department has been able to bring innovative processes and plans into fruition, as one of the department’s goals is to strive for uniformity. The uniformity of permanent polling locations and voting hours will make the voting process more convenient for our voters. Early voting for the November constitutional election will be held Oct. 23 through Nov. 3. Election Day is Nov. 7. The last day to register to vote is Oct. 10, so it is very important that you register to vote or make any changes to your voter information by this date. There are seven propositions in the upcoming election. VoteTexas.Gov, a site powered by the Texas Secretary of State’s office, explains these propositions. Please use this link to better understand each proposition before you cast a ballot. Let’s make Hidalgo County No. 1 in voter turnout!